Situated in Bude, this bed & breakfast is 2.2 mi (3.5 km) from Ivyleaf Golf Course & Driving Range and within 6 mi (10 km) of Upper Tamar Lake and Tamar Lakes. Sandy Mouth Beach and Duckpool Beach are also within 6 mi (10 km). 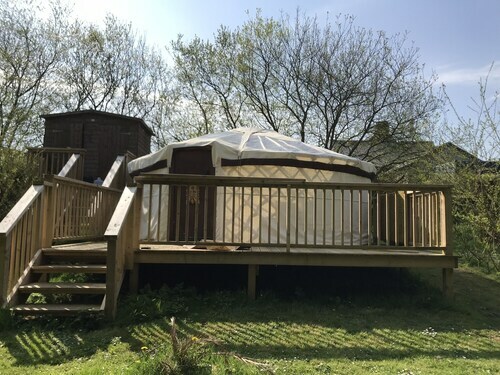 Situated in Bude, this chalet is 2 mi (3.2 km) from Ivyleaf Golf Course & Driving Range and within 6 mi (10 km) of Tamar Lakes and Upper Tamar Lake. Sandy Mouth Beach and Duckpool Beach are also within 6 mi (10 km). Situated in a rural location, this chalet is 3 mi (4.8 km) from Ivyleaf Golf Course & Driving Range and within 6 mi (10 km) of Tamar Lakes and Upper Tamar Lake. Sandy Mouth Beach and Duckpool Beach are also within 6 mi (10 km). Situated by the ocean, this campground is within 3 mi (5 km) of Ivyleaf Golf Course & Driving Range, Tamar Lakes, and Upper Tamar Lake. Sandy Mouth Beach and Duckpool Beach are also within 6 mi (10 km). How Much is a Hotel Room in Kilkhampton? Hotels in Kilkhampton start at $81 per night. Prices and availability subject to change. Additional terms may apply. 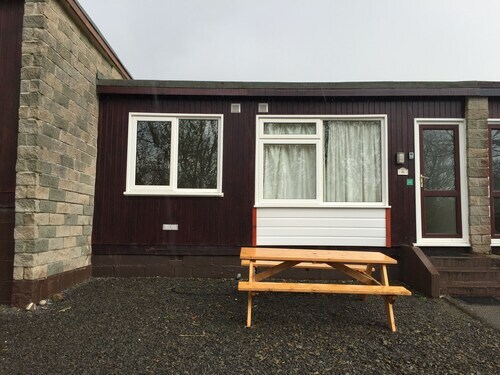 When you are searching for the best accommodation in Kilkhampton, you have loads of options. If you're going to stay within a 6-mile (10-kilometer) distance of the heart of Kilkhampton, our up-to-date database lists an impressive 20 hotels and apartments in the area you desire. Enlightened visitors on the hunt for Travelocity-listed places to stay close to the heart of Kilkhampton, can easily find Tregenver B&B and Daisythorne Bungalow B and B. 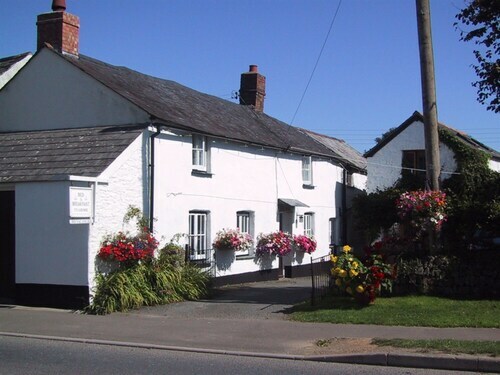 9 miles (15 kilometers) away from the main part of Kilkhampton, you will find the Red Lion Hotel. 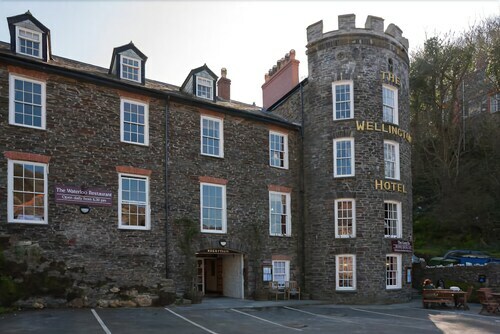 The Wellington Hotel is about 16 miles (26 kilometers) away. Other accommodation options include the The Cliff Hotel and the Lifton Hall Hotel. The nearest places to spend the night in Cornwall are St. Just in Roseland and Trebarwith Strand. St. Just in Roseland is 55 miles (86 kilometers) to the southwest of Kilkhampton, while Trebarwith Strand is 20 miles (33 kilometers) to the southwest. St. Just in Roseland Travelocity-registered room options include the The Victory Inn and Trewithian Farm B&B. 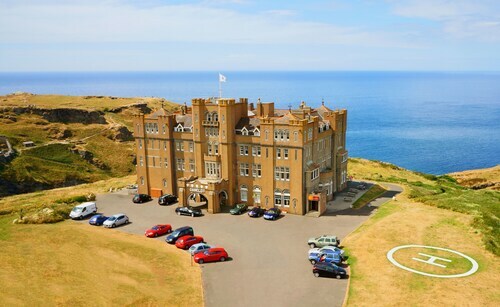 The Atlantic View Hotel and Camelot Castle Hotel are a selection of the Travelocity-registered accommodation options in Trebarwith Strand. Before leaving Cornwall, you sure ensure you experience a fast-paced game. Visit Liberty Stadium, located to the northeast of Kilkhampton. Modern travelers who enjoy the convenience of booking a hotel close to the action, book a room in the Swansea Marriott Hotel or Village Hotel Swansea. Plymouth City Airport is a primary arrival point for air travel, and is situated 35 miles (57 kilometers) away from the heart of Kilkhampton. Conveniently located hotels include Millstones Country Hotel and Restaurant and Alma Lodge Guest House. Hotel was decent. It's being refurbished, which is good, as it needs it. The bed was very comfortable. The view was great, and the room very quiet. The bathroom was very, very small - like an airplane bathroom with an added shower (with barely enough room to turn around in). Food in the restaurant was all right, but was essentially overpriced pub fare. Dessert portion was quite small. I'd stay here again if in the area, but would head to one of the nearby pubs to eat. Decent place. Sound carries well. Bed was not quite comfortable, but also not really uncomfortable, either. Food in the pub was good. 5.0 Intensely scenic & wonderfully historic. Everything about his hotel and its location speak to the persistence of the locals. It is made of stone yet experienced terrible flooding over a decade ago. The locals overcame this adversity and restored this beautiful village to be even more picturesque than before. It is like being dropped into a movie set of all that is scenic about West England & Wales. The staff were phenomenal. We loved dinner in the hotel, great bar & lovely fireplace. Other good restaurants nearby. Park your car and walk everywhere & explore this gem of a funky, scenic and deeply historic village. Lots of great hiking in town & nearby footpaths. Loved every moment of our 3 day/2 night stay.